The Associations World Congress (AWC) was held 12–14 March in Antwerp, Belgium. The AWC is an international congress for managers involved in international and strategically important meeting organisations.Since Gothenburg, along with the Swedish Exhibition & Congress Centre and MCI Norden will host the conference in 2019, representatives were in Antwerp to market Gothenburg. 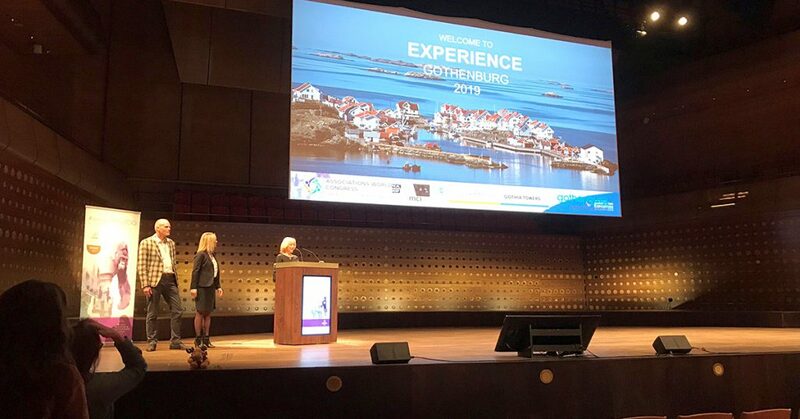 On the last day of the congress the baton was officially transferred to Gothenburg and Annika Hallman, Director at the Gothenburg Convention Bureau, welcomed participants to attend next year’s conference. Ann-Catrine Boldyn, project manager for AWC 2019, will have a full schedule handling the many preparations. 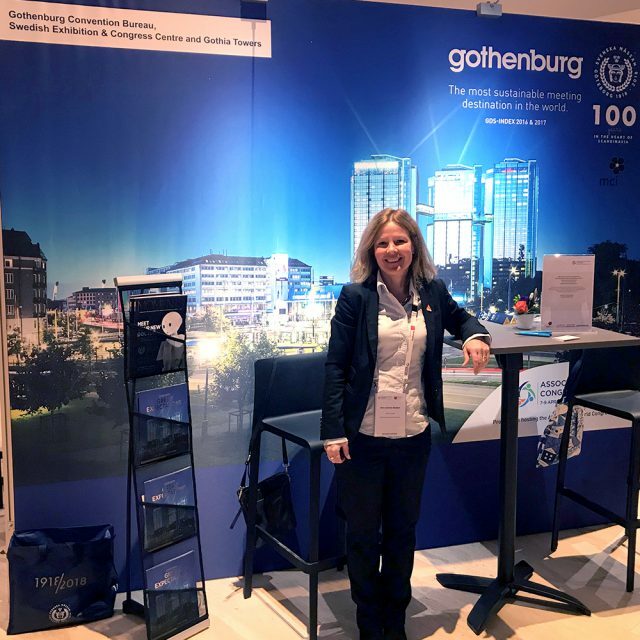 Ann-Catrine Boldyn, Project Manager Associations World Congress 2019 in Gothenburg. In November the contract with the arranger, the Association of Association Executives (AAE) was finalised. After several years of work, the contract was signed at IBTM in Barcelona in November last year. The AWC is an important congress with great opportunities to showcase the city and its strengths, while enhancing Gothenburg’s position as the ideal city for meetings. Up to 400 decision-makers are expected at AWC 2019. These key individuals are part of AAE’s members, representing a total of over 9,000 annual meetings. Tagged with Associations World Congress.